There’s just something special about turning each page of your wedding album. Your eyes are able to soak up every detail you worked endlessly to plan, while your heart re-lives every powerful emotion — all through imagery. 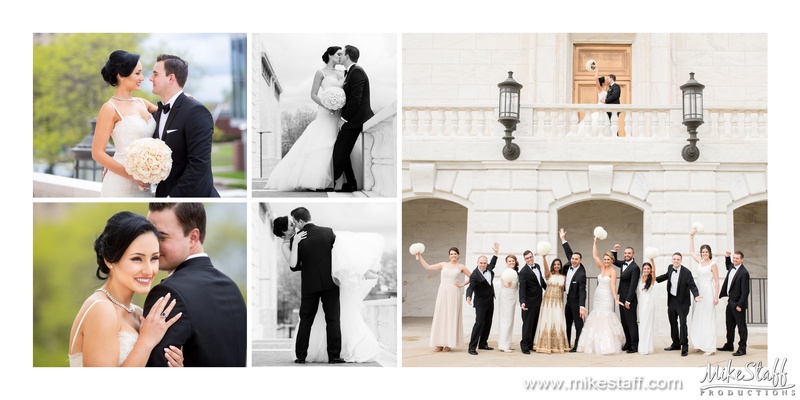 Once your special day comes to an end, your photos keep the memories alive for decades to come. But when you have thousands of images to choose from, how do you start the design process? There’s no better person to turn to than Chris Ziemann, the Director of Photography with Mike Staff Productions. He can help guide you through all things pictures! “Looking at a wedding album is a different experience, it’s a texture, there’s a kinetic response, the big thing is, you’re creating a conversation piece to talk over rather than looking at a gallery of thumbnails,” said Ziemann. Acrylic or metal covers is the newest direction wedding album design is heading in. Thinking about canvas? Ziemann says it’s definitely an option but that trend is starting to fade. 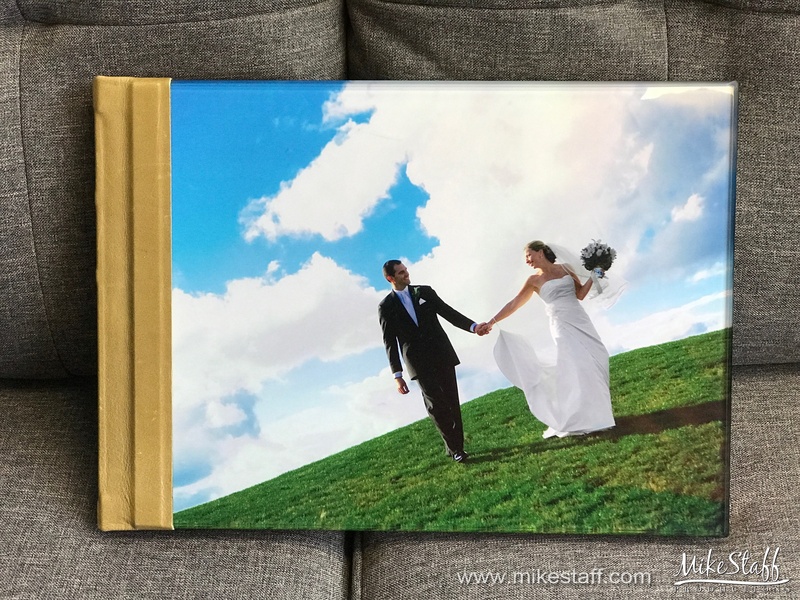 “We’re seeing a lot of couples request mixed mediums when it comes to their wedding album covers, a leather back, leather siding and either an acrylic or metal front,” said Ziemann. Less is more. Clean, simple designs is another new trend. The days of collages, mosaics and scrapbook style albums are over. Negative space, large images, open white space is becoming popular, while accents and filters on images are dying off. Which pictures should you include? When trying to narrow down images to feature in your album Ziemann says their designers look for ‘Impact Images’ or that ‘wow’ image. Look for natural moments and photos that provoke emotion. Designers will pick a collection of images that highlight a particular part of the day – the bride getting ready, the groom toasting with the groomsman, the bride seeing her father for the first time, etc. “If you can figure out what your style reflects, whether it be modern or traditional, that will give the designer a lot more insight in which images to include,” Ziemann says. “Don’t feel like you have to have a million images together on one page, let a few images talk louder than having a big collage that appears noisy,” Ziemann says.